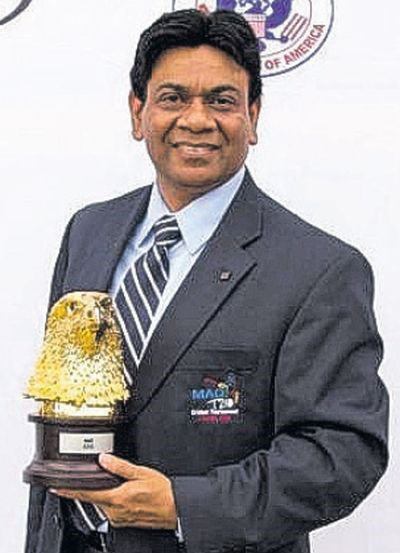 CCUSA chairman Mahamamd Qureshi wants more T&T players to come to Miami. (Trinidad Guardian) Trinidad and Tobago cricketers stand to benefit from opportunities that will come their way in the new year from Cricket Council USA. Chairman of CCUSA, Mahammad Qureshi said he was inclined to assist cricketers in Trinidad and Tobago because of his long standing relationship with players, officials and other stakeholders. “Cricketers from Trinidad and by extension the West Indies come in droves to play at our marquee tournament the US Open T20. Over the years we have had over 100 players coming from that region to take part and I am sure that they would have benefited from their experience here. The millionaire Miami businessman added:”We want to encourage teams from Trinidad to come to Miami for cricket tours. We are well organised here and it will be great for them to come and play. Teams can connect with us for preseason training because we have our own cricket ground at the Boca Riding and Racing Club, as well as access to the Central Broward Regional Park, which is the only ICC approved venue in North America.